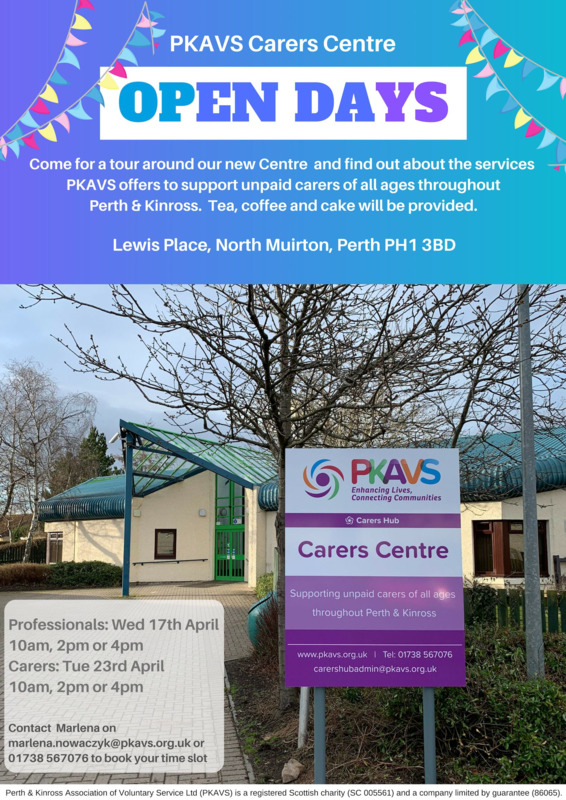 PKAVS Carers Hub have moved to the new PKAVS Carers Centre and we invite you all to our upcoming Open Days! The new Centre is placed at Lewis Place, North Muirton, Perth PH1 3BD. 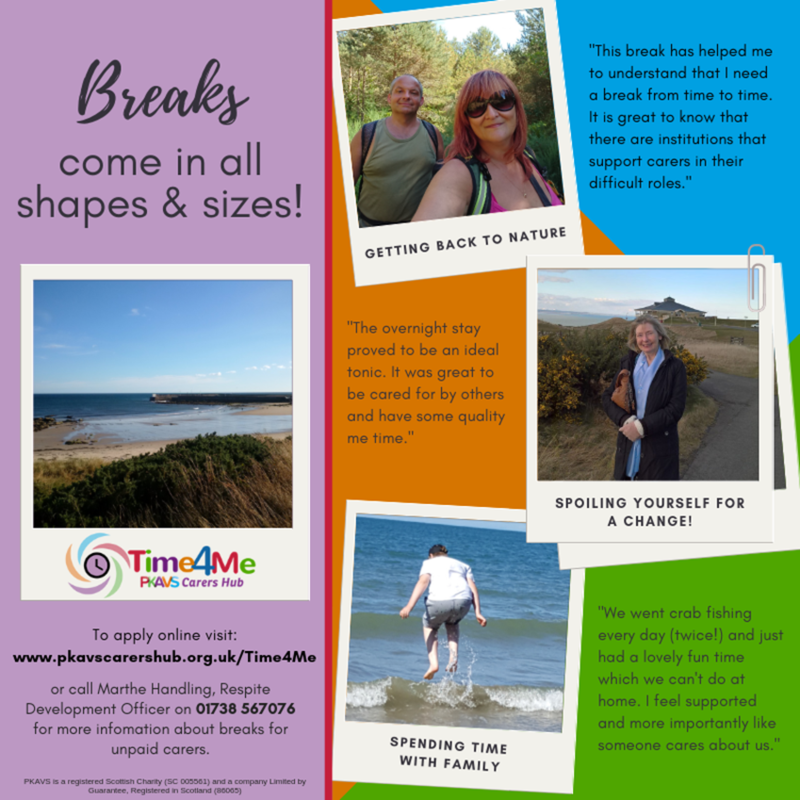 This is a great opportunity to familiarise yourself with the new venue and learn more about what support the Carers Hub has to offer. As it is an In-Service Day, feel free to bring your kids, we will have an egg hunt organised for them!